Masaaki Suzuki has never called his Bach Cantata project a “journey” or a “pilgrimage”, he’s much too modest for that sort of self-promoting jargon. But even so, as we reach the final volumes of this spectacular cycle, there is a real sense of homecoming. The conductor no longer has anything to prove, about his own interpretive approach or about the skills of his performers. On this, the 52nd instalment, we get a taste of everything that has made this cycle great, some excellent singing, some distinctive instrumental solos, and of course finely controlled balances throughout, but little in the way of showing off. The cantatas chosen have no extended virtuoso arias and the instrumental writing, while always satisfyingly elaborate, never puts anybody in the spotlight for more than a minute of two, and even then makes relatively modest technical demands on them. The result is an album of assured and technically proficient Bach performances, in which all the musical and expressive demands are easily met, and which impresses as much as any previous instalment, although more for the continuously high standards than for any particular musical feats. The programme opens with perhaps the most famous cantata of them all, BWV 140 aka “Sleepers Wake”. The opening Chorale sets the choir against a double obbligato of solo oboe and strings. A little more definition to the string sound may have helped here to create a clearer sense of duet with the solo oboe, but, as with everything Suzuki records, there is never any danger of their lines actually getting lost in the textures. The third movement, a duet between soprano and bass, is accompanied by an obbligato line from the piccolo violin, that’s a violin tuned a third higher than normal. Despite its high tessitura, the instrument blends wonderfully into the textures here, always only adding interest rather than stealing the spotlight. Just as interesting is the interplay between the voices of Hana Blažíková and Peter Kooij. Suzuki’s decision to use female voices for this project may have seemed unusual when he started out, but it’s fairly mainstream these days. Listening to these two voices perfectly complementing each other despite very clear differences in timbre fully vindicates the approach, if any further vindication is needed. When we reach the famous chorale in the fourth movement, the big surprise is the roundness and warmth of the string sound. The generous acoustic must help, as must the precision of ensemble, but the sheer elegance of tone from every member of the ensemble is the most startling feature – and all without even a hint of vibrato! One of the most surprising, even counterintuitive, signings in these later instalments of the Suzuki Bach Cantata cycle is trumpeter Jean-François Madeuf. He specialises in playing instruments without tone holes, an approach which, while vindicated by history, inevitably creates a less precise and more strained sound than Suzuki usually favours. It has worked out though, and his contributions to this album are excellent. For BWV 140 he plays a tromba da tirarsi, which is a slide trumpet. For the second cantata on the disc, BWV 112, he plays horn. The horn section isn’t highlighted throughout but it does have some very important entries, one of which is at the very beginning where they introduce the cantata with very brief unaccompanied passage. The tone here is satisfyingly throaty, but the precision of tuning and ensemble within the section is never in doubt. The pastoral theme of the grazing sheep in BWV 140 is continued in this cantata, and in the aria that forms the second movement an oboe d’amore obbligato affords the music a particularly mellow tone. This is continued in the fourth movement, a duet for soprano and tenor. The tempo is a little fast here, in fact it is one of the few movements on the disc in which Suzuki’s trademark propulsive tempos are evident. Blažíková again demonstrates her impressive ability to lead the music without overpowering either the ensemble or her duet partner. And her clear, open tone is just as evident in the higher registers here as it is in the more comfortable tessitura of the previous cantata. The final offering on the disc is Cantata BWV 29, Wir danken dir, Gott, wir danken dir. This is one of Bach’s many cantatas written for a civic occasion, this time the inauguration of the city council. 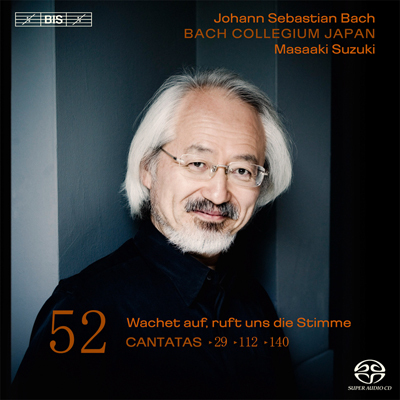 There is certainly some pomp and ceremony, but on the whole – and perhaps this is as much to do with Suzuki’s interpretation as Bach’s score – the music maintains its easy-going and often pastoral mood. That said, the Sinfonia first movement is a grand opening gesture. This is essentially a concertante orchestral movement with organ solo. Maduf returns to his trumpet to give weight and attack to the orchestral interjections, the ideal balance against the flowing diapason sounds of the organ. Later on we get a version of the Dona nobis pacem from the B Minor Mass, but this too is performed in a laid back and unassuming way. It just goes to show that Suzuki no longer has anything to prove. Throughout this cantata, indeed throughout the whole album, the textures are filled with tiny details of word setting, orchestration and counterpoint. The performers execute each of these devices without ever forcing them into the foreground, knowing that the quality of audio recording will make each of them crystal clear. If Suzuki, or anybody else, where to begin a Bach Cantata cycle with this much studied assurance, it might raise concerns that complacency would creep in later on down the line. But now, only two or three discs from the end of this magnificent cycle, the conductor and his ensemble are toning down the extravagances. They’ve got our attention (they’ve certainly earned it) so from now on they can concentrate on the details of these scores, the level at which they truly show their greatness. Harmonically adventurous choral music is all too rare. The reasons are clear enough: it can be very difficult for choirs to learn new works in which their lines interact in complex harmonic relations. Composers also have to work hard to succeed in this field, as their music must still be idiomatically suited to massed voices, even when new harmonies are being introduced. 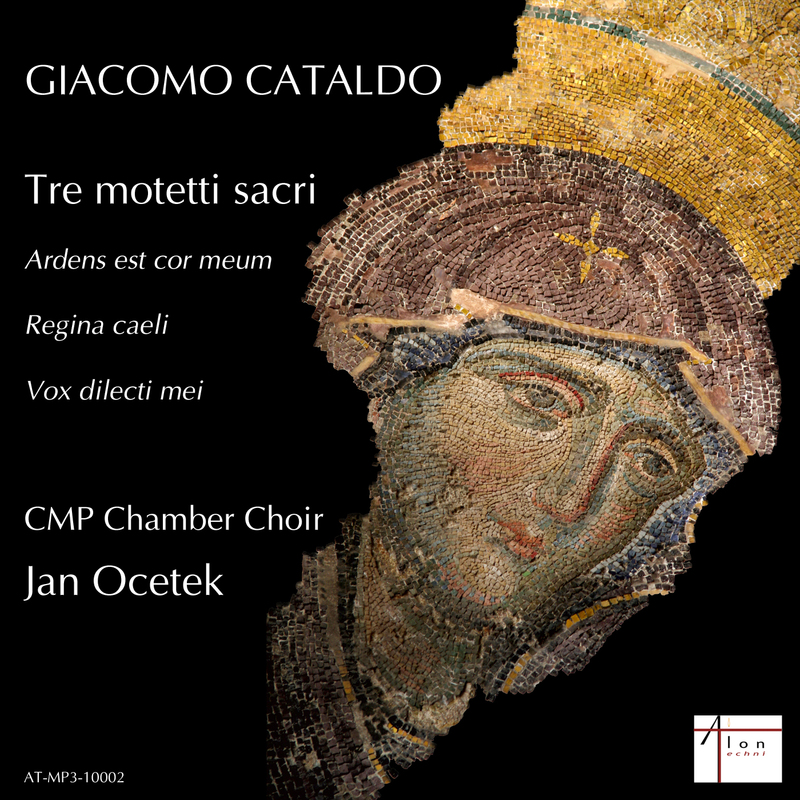 Giacomo Cataldo is therefore to be commended for his bravery in writing new music for choir without making any apparent compromises to his Modernist harmonic language. His Three Sacred Motets combine tradition and innovation in a variety of ways, but the main focus of the innovation is the harmony. The language here is atonal and relatively austere, but it is always interesting and shapes the music through a distinctive system of relative dissonance and resolution. Schnittke’s Psalms of Repentance occasionally come to mind, as do the choral works of Jolivet. However, the dissonance is never extreme, and a system of suspensions, resolutions and even cadences links the harmonies to the traditional tonal constructs, that are otherwise notable by their absence. In all other respects, these motets fit squarely into the Catholic traditions of liturgical choral music. The textures are largely homophonic, and most of the gestures are decisive and confident. There are similarities here with Bruckner’s motets, but even if Bruckner did not directly influence Cataldo, the comparison demonstrates how both composers draw on the long history of Catholic church music to create works that are both traditional and new. Cataldo presumably intended these works for liturgical use, and the clarity with which he has set the words can only aid them in that context. My only concern with this music is its lack of textural variety. The voices sing in rhythmic unison almost throughout. The only major exception is a device involving passing notes in one of the lines to join the chords together. This is sometimes used to emphasize phrase openings, but occasionally whole passages are strung together with this faster movement in the inner voices. It is an effective device, but one that risks monotony though overuse. The CMP Chamber Choir gives an excellent performance, especially given the difficulties the music poses. They carefully enunciate all of the words and have secure intonation throughout. It’s not a perfect performance though. The sopranos are occasionally required to sing quietly in the upper register, and in dissonant harmonic contexts. That would test the skills of any choir, and in this one, the ladies’ voices, when put to this extreme test, can sound brittle and insecure. Also, many of the grander gestures in the music seem curiously under-sung, with less confidence and gusto than the composer clearly intended. Nevertheless, this recording represents a fascinating new direction for Catholic choral music. Cataldo skillfully balances the traditions in which he works with the innovations that he seeks to introduce. A little more sophistication in the interaction between the voices would make this music even more interesting, but in the absence of rigorous counterpoint, the harmonic language offers plenty of alternative interest. Cataldo evidently works in a wide range of genres, and his music is not limited to the choral field. Even so, the artistic success of this project ought to demonstrate the suitability of his compositional style to the field of liturgical choral music. Hopefully choral writing will continue as a central concern in Cataldo’s compositional career, which promises to be a successful one, whichever direction he now takes. Following his sterling work championing the orchestral music of Hans Gál, Kenneth Woods now turns his attention to the composer’s chamber music. Woods here plays cello in Ensemble Epomeo, a trio that also includes violinist Caroline Chin and violist David Yang. Given the high quality of the Gál symphonies that Woods has previously presented, it comes as little surprise that the music here is very fine indeed. Gál upholds all of the time-honoured virtues of the Austro-Germanic tradition, one of which is to treat chamber music as the most hallowed of musical genres, demanding the highest level of craftsmanship and the most personal and confessional modes of expression. 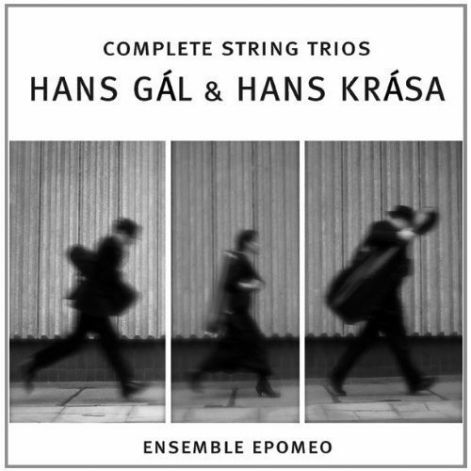 The contrapuntal ingenuity that we hear in Gál’s symphonies is much in evidence in his string trio music, yet there is never any danger of dry academicism, nor of fashionable neo-classical formality. The Serenade in D is a substantial work, coming in at over 25 minutes, and is rigorously structured along symphonic lines. But the title has not been selected out of modesty, rather it reflects the lightness and grace that characterises the music. Here we find Gál at his most playful, conjuring a range of airy and open textures, the better to display the inner workings of his counterpoint. This is music composed with an assured and confident technique but that never takes itself too seriously. Brahms may be the model for the technical details of this music, but in its playfulness and grace it has a direct line to the serenades of Mozart. The Trio in F Sharp Minor is a much later work, written in 1971 and separated from the 1932 Serenade by almost 40 years, a world war and a displacement to the UK. It opens in a completely different aesthetic, a less focussed and more impressionistic soundworld. Curiously, Gál is not able to maintain this undisciplined approach for long, and after a few minutes he returns to the clear, well-structured and contrapuntal textures in which he is clearly most comfortable. The piece was originally written for the London Viola d’Amore Society, with that instrument taking the middle part. As a result, the viola has plenty to do. In fact, Gál always treats his three instruments as equal players anyway, so the difference is minimal. 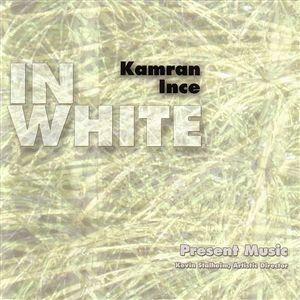 Kamran Ince divides his time between Turkey and America, and carefully balances the musical influences of the two countries in his music. Ideas and sounds from Turkish folk music appear, but are so well integrated into the textures that they never feel like exotic additions. His American side is most clearly evident in the music's structure, which usually relies on a repetitive minimalist approach. The diatonic modality also suggests an all-embracing American aesthetic, a cosmopolitan musical environment accommodating ideas and sounds from overseas. This album first appeared in 2004, and gives a snapshot of the diverse trends in the composer's work in the years around the millennium. The music begins at Ince's most American and gets more and more Turkish a the album progresses. Flight Box, for ensemble and choir, is described by the composer as “a diary of a flight which reaches its destination safely.” That last reassurance required because of the suggestion in the title of a black box recorder and the fact the work appeared soon after 911. This is the most minimalist of the works on the disc, but it's a gritty industrial minimalism, reminiscent of Louis Andriessen. There is no development here to speak of, instead the blocks of repetitious music are edited together with abrupt shifts from one to the next. Stirring melodic lines ride over the top of all this, and a backing choir provide sustained textures, suggesting Morricone at his most bleak and windswept. A cello solo piece follows, MKG Variations performed by Karl Lavine. The form here is again based on repeated or slightly changing cells, and the ideas within those cells owe much to Bach's Cello Suites. Pizzicato figures vary the texture and give the first suggestion on the program of Turkish folk instruments. In White is a violin concerto, the solo part taken here by Present Music's Artistic Director, Kevin Stalheim. It is in three slow movements interspersed with two short and fast ones. The violin writing is simple but effective. Ince weaves long, seductive melodies for the soloist in the slow movements, which he contrasts with more astringent, jumpy sounds in the faster ones. As in Flight Box, a wordless choir supports the ensemble, and although the singers' contribution is atmospheric, it feels like a distraction in the context of a concerto. The devastating earthquake that hit Turkey in 1999 motivated the piano piece In Memoriam 8/17/99, written later the same year and played here by Phillip Bush. Within the sombre atmosphere of this work, Ince introduces some surprisingly modern sounds. Textures that you might associate with the post-war avant garde are presented, but always against traditional sounding harmonies. The result sounds like a kind of diatonic Boulez, if such a thing were possible. Ince's Turkish side finally rises to the surface in the final piece, Turquoise. The heterophonic music of the Ottoman court was apparently the inspiration for this work for an ensemble of seven. Tuned, metallic percussion dominates most of the textures and gives the music a distinctly Janissary feel. Structurally, the music is as minimalist and repetitious as ever, although the rhythms within the repeated cells are more complex, bringing the overall effect close at times to Conlon Nancarrow. The Present Music ensemble of Milwaukee give precise and convincing readings of these scores, and there is never any feeling of impatience about the repetitive forms. The sound quality is reasonable; no recording details are given, but these sound like studio recordings to which unconvincing digital reverb has been added. Nevertheless, the ensemble has done the composer a great favor in presenting his music to this standard. Their collaboration has continued since, so if you want an update on Ince's more recent work, seek out the disc from Present Music that was released on the Naxos label in 2010 (9.70011). This review appears in Fanfare, issue 36:2.